One Central Hotel is all about affordable luxury. Even though it looks five star and the service is five star, the rates are very reasonable. Whether you're on a business trip or just taking a break from your work with your loved ones, One Central Hotel is open anytime to welcome you with open arms. 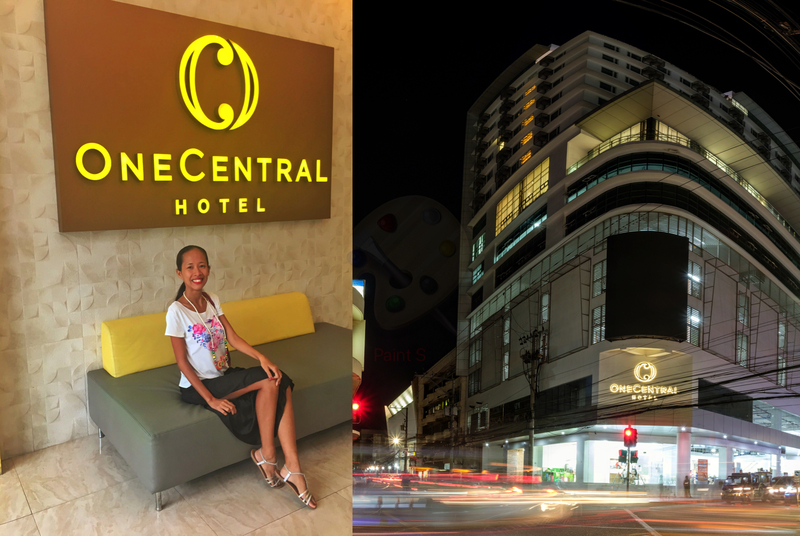 A sudden trip to the Queen City of the South brought me to the newest business hotel in Cebu called One Central Hotel just a week ago. I have been here many times but the downtown area of Cebu where this hotel is located is a first time visit. That's why I cannot contain my excitement when I learned of this opportunity of staying for three days that include visiting historical sites in between. One Central Hotel was named after the Central train station that was built during the early 19th century. The 57-mile railway stretches all the way from Danao up north to Argao down south. There is also a short railway that leads up to the port along Leon Kilat Street. The dawn of World War II ended the train operations in Cebu. One Central Hotel is located in a shopping mall (called E-mall or Elizabeth mall). If you need to buy groceries or do a bit of shopping, you don't have to go out of the building literally. Space is never an issue in this hotel. There are currently 170 rooms spread out in different floors of this building (presidential suite to be added soon) that are guaranteed to give you comfort. These rooms are strategically built with windows that provide panoramic views of the city. The balcony at the 9th floor where Cafe Tartanilla, One Central Hotel's in-house restaurant and grand ballroom provides an unobstructed view of the passing ships, nearby mountains and the city. For business travelers, four state-of-the-art meeting rooms and one grand ballroom for your life's important milestones are also available. If you cannot wait to see the beach, there's an al fresco swimming pool that can at least give you a quick chill while in the city proper. For gym buffs, you're definitely not going to miss your daily fitness routine here! 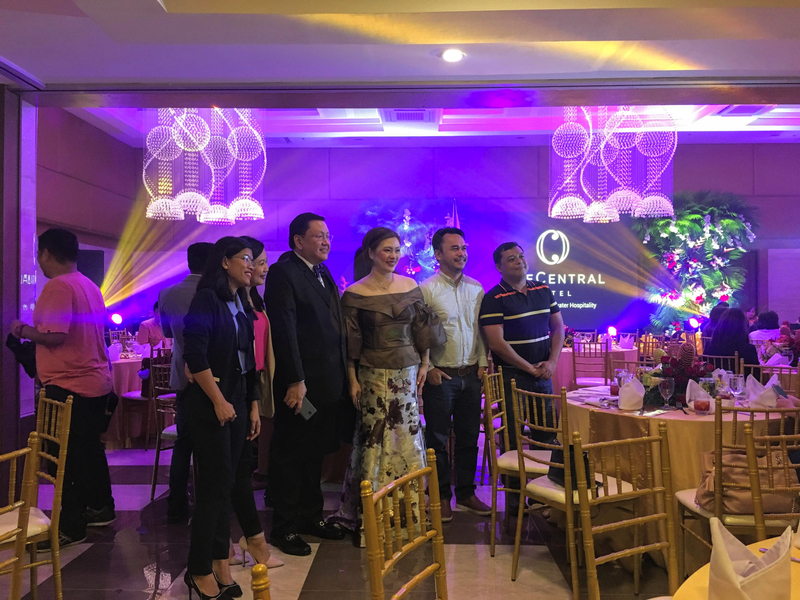 One Central Hotel is managed by Bluewater Hospitality, best known for its homegrown and wholly-Filipino owned chain of resort hotels in the Visayas and Mindanao. At first, I was skeptic of how an urban hotel can be "directed" properly by an institution that specializes on beachfront hotels but who knows, right? Bluewater Hospitality's experience for 30 years in this industry along with their uniquely Cebuano approach for taking care of their guests which they call “amuma with excellence” deserves a separate applause. 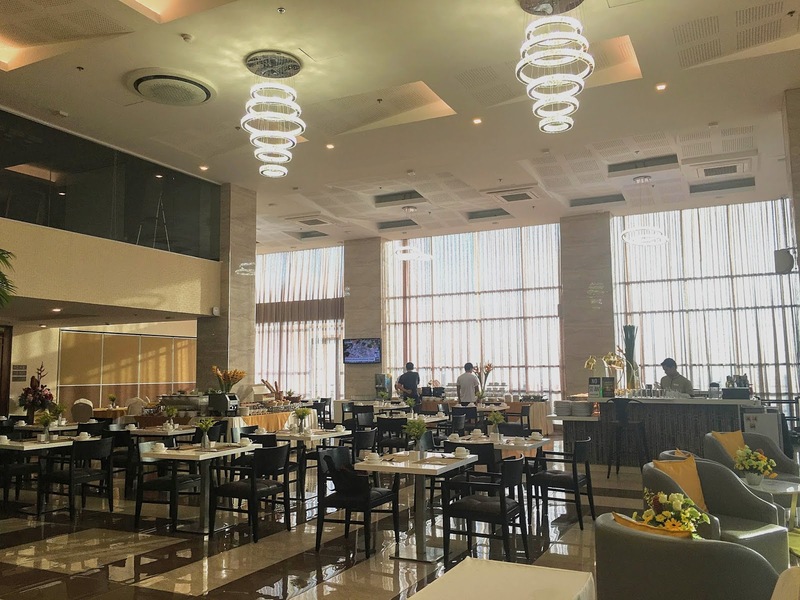 Why choose One Central Hotel in Cebu? Not that I am bragging but having spent so many nights in countless hotels around the Philippines and Asia, my standards and expectations are higher than usual. Yes, One Central Hotel deserves a two thumbs up. Hotel room has a condo vibe I can now say that my hostel days are over. My traveling style is more of a bit of splurging when it comes to where I sleep now that I have reached my 30's. The rooms of One Central Hotel are wide and equipped with everything I need. I stay in a condo here in Manila so I want the same atmosphere whenever I travel. I super love that shining and shimmering "vanity" mirror in our Deluxe Double room. Makes me want to prettify myself more whenever I would go out. Wifi is miraculously fast and stable I am a full-time freelancer. Without an Internet connection, I cannot earn! The wifi connection here at One Central Hotel is as fast as the five-star hotels here in Manila. You can hook up all of your gadgets online! As long as you're checked in, your acess to the Internet is unlimited. 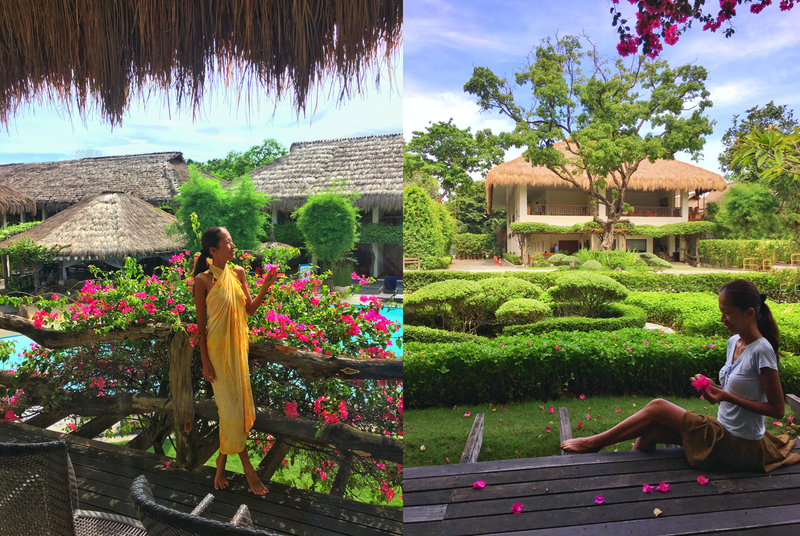 Proximity to Cebu's historical and tourist spots One factor I always consider when I choose a hotel is it should be geographically near to the tourist attractions of the place I will visit. One Central Hotel is perfect in this aspect. Cebu's top five tourist attractions: San Diego - Yap ancestral house, Casa Gorordo Museum, Magellan's Cross, Basilica Del Minore Del Sto. Niño and Jesuit House Museum are all just a jeep away from this hotel. You can even walk if you want to sweat a bit. One of the best hotels to book if you want to see Sinulog Festival Cebu is famous for Sinulog Festival that happens every 3rd week of January. The good news is if you are staying at One Central Hotel, you can watch the Sinulog grand parade/motorcade right at the main entrance or from the balcony. During this festivity, Cebu is very crowded. You'll thank yourself big time if you are able to secure a nice spot to watch the street dancing scenes. The food is exception Dating a certified foodie and eating in quality restaurants every other night for over year already, made me appreciate the true good food. Here at One Central Hotel, there is diversity when it comes to food choices. I had the chance to savor my meals for three days at Cafe Tartanilla. As much as I want to eat everything in moderation, I gave in. The warm welcome In other hotels, a simple smile is all you get when you show up. In One Central Hotel, it's different. Aside from the genuine smile, the staff bows a bit and touches the part of his body where the heart is with his two hands. Affordability Staying in One Central Hotel will not cost you a fortune. Again, even though it looks five star and the service is five star, the rates are very affordable. Of course, except holidays and Sinulog season so better choose the dates wisely. The establishment of One Central Hotel is not only about providing a place to sleep for guests visiting Cebu. Mr. Steven Yu, the chairman and owner of One Central Hotel's larger advocacy is to kick off the development of downtown area which seems getting behind in terms of infrastructures and business opportunities. 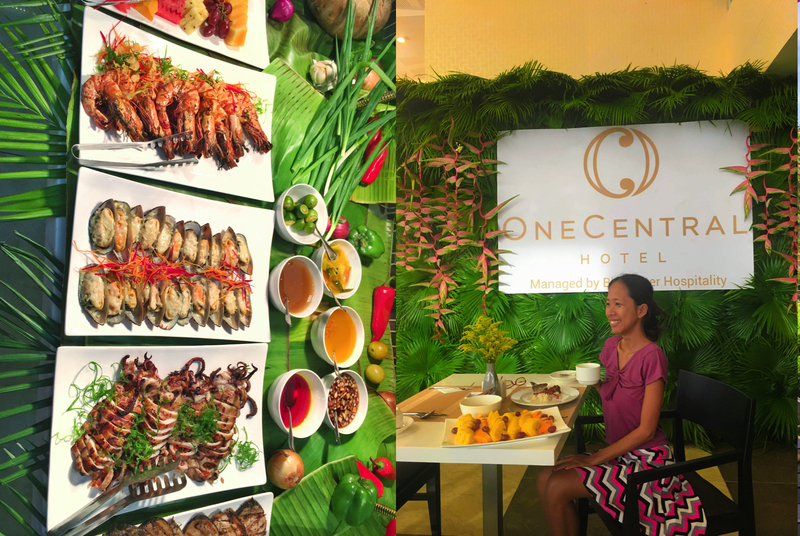 One Central Hotel would like to be known as a home away from home and an oasis in the middle of the city for roughly Php 2,500 - 3, 500 per night!